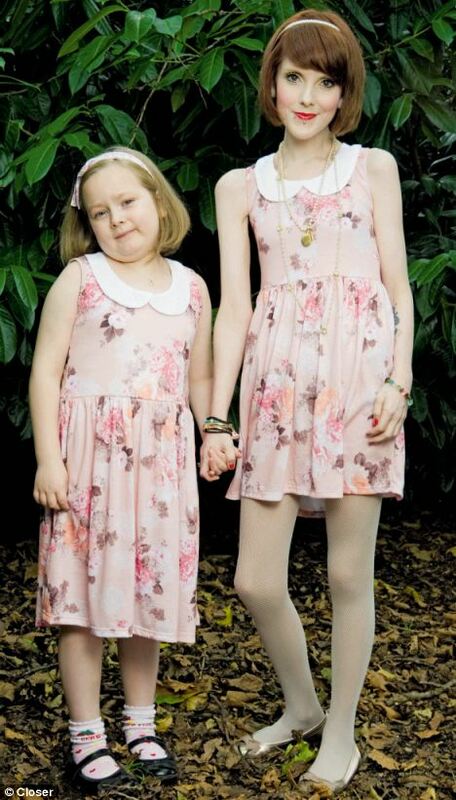 At first glance they might be sisters, but look again at this startling picture. They are, in fact, a 26-year-old mother and her daughter. Her eating disorder began following her parents’ divorce when she was 11. Comfort eating caused her to balloon to 15st, and she was teased at school and lost confidence in herself. At 13, she says, ‘I pretty much stopped eating’ she tells CLoser magazine. After a drastic weight loss, friends began complimenting her size ten figure and her family did not spot the dangers. Doctors have warned her she is at risk of a fatal heart attack if she does not put on weight.